Dysphagia in Parkinson’s is a common problem. Although research suggests that one-third of people with Parkinson’s (PwPs) have difficulty swallowing, medical observation suggests that the problem is even more widespread, as patients frequently don’t report the problem to their doctor. Due to the importance of swallowing to eating and drinking socially, it is no surprise that difficulty in swallowing is associated with a lower quality of life. 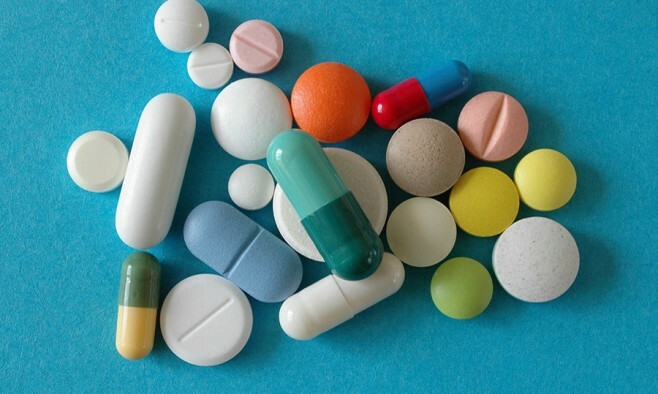 While it is relatively easy to modify foodstuffs and liquids using thickeners to a consistency that is acceptable, medicines create a different problem as these are frequently prescribed as tablets or capsules that cannot be so easily tampered with prior to swallowing. Healthcare professionals break down the swallowing process into three stages: the oral phase; pharyngeal phase; and oesophageal phase. During the oral phase, the food, liquid or medicine is manipulated by the teeth and tongue into a size and consistency that is easy to swallow. When ready, the substance is then passed over the back of the tongue and swallowed. The next phase, in the pharynx, is perhaps the most important as this is where the opening to the lungs has to be simultaneously closed so as to prevent the swallowed material from transferring into them (aspiration). Food, liquids and medicines are not sterile. This means that if they go into the lungs, they can cause pneumonia – the most common cause of death in Parkinson’s. If the substance doesn’t pass beyond the pharynx due to poor muscle control or due to being too large, it can cause choking as the individual is unable to open the entrance to the lungs. With Parkinson’s, control of the tongue and muscles in the pharynx can be affected and therefore both aspiration and choking are a concern. With no current treatment available for dysphagia in Parkinson’s, as soon as a patient experiences swallowing difficulties, it is important that both the consistency of their foods and liquids, and the suitability of the formulation of their medicines are reviewed. If the patient does not inform their prescriber of the problem, they may be personally forced to tamper with the medicine prior to administration. While it is true that there is limited evidence to suggest that this may be occurring – for a number of reasons – tablets and capsules should usually be administered whole and not tampered with. Patients who start to experience dysphagia should always inform their prescriber and pharmacist so they can obtain the best advice on their medicines. It is well known that many PwPs who are in hospital often receive their medication too late. Recent research has also shown that patients with dysphagia are at least three times more likely to experience medication administration errors compared with patients without dysphagia. Nurses providing care to patients with dysphagia were found to be crushing, mixing and dispersing tablets inappropriately; neglecting to supply more suitable medicines when available; and were forgetting to give doses. Most of these problems arose because patients had been prescribed tablets or capsules that required altering before they could be easily swallowed. The main message from this research is that the prescriber and pharmacist need to be made aware of the swallowing problem to enable the best formulation and most appropriate method for administering the medicine to be identified for the patient. Many medicines are now available as dispersible tablets, patches or liquid medicines. It is therefore frequently not necessary to manipulate tablets or capsules when a patient has dysphagia. Although the pharmacist is the best person to ask about what is available, there is a website where you can type in the name of your drug to find alternatives – visit www.swallowingdifficulties.com for more information. For example, Madopar (levodopa) is available as a dispersible tablet. Liquid medicines, which are available for many medications, are designed to be palatable and provide a consistent dose. In many cases, they have a thick consistency to reduce the likelihood of aspiration. However, when there is no suitable alternative, the only option may be to tamper with the tablet or capsule before swallowing. Tablets and capsules are very carefully designed to ensure that they are not only acceptable to patients but that the drug is released at the correct speed and in the best location. They each contain a number of different ingredients that are selected to ensure they don’t interfere with the drug. It is important, therefore, that different crushed or dispersed tablets should not be mixed together. Film and sugar coats can be placed on medicines to hide the flavour – so to remove them may make the mixture unpalatable. Enteric or gastro-resistant coatings are frequently placed on tablets to either protect the drug from stomach fluids or to release the drug after the medicine has passed through the stomach. Removal of such coatings is likely to make the drug less effective. Some tablets or capsules are designed to release the drug more slowly, usually so that the patient does not have to take the medicine too often– examples are Madopar CR and Sinemet CR. Dispersing or crushing such tablets releases too much of the active drug too quickly and this can significantly increase the chance of experiencing side effects. When a PwP reports dysphagia and is struggling to swallow their medicines, it is important that they discuss the problem with their doctor so they are aware of the problem. If you struggle to find suitable alternatives, it may be worth discussing the situation with your pharmacist who will be most aware of what is available. This article was sponsored by Rosemont Pharmaceuticals and originally appeared in EPDA Plus. The information in this article is given for information purposes only and does not represent an endorsement by the EPDA of any particular treatments, products or companies. This article is not a substitute for advice from your doctor, pharmacist or other healthcare professional. Parkinson’s Life makes no representations or warranties of any kind, express or implied, about the completeness or accuracy of information provided.